Who's ready for another round of college ballin'? Time to bring out those old alma mater t-shirts and jackets folks: College ball season is so on! And now that the NCAA is off to a hot start, we’re focusing on the league that’s got tongues a-wagging. There’s no question the Blue Eagles still have the makings of a champion team. They’ve got the talented Mr. Ravena as floor general, old reliables Nico Salva, Tonino Gonzaga, and Justin Chua still in action, and the league’s tallest big man in Greg Slaughter in the paint. Returnee Ryan Buenafe (who may not look it, but was Season 73’s Finals MVP) and transferee Nico Elorde buff up the talent pool, plus they’ve got faith in an effective system and four years of championship experience. While losing Kirk Long and Emman Monfort will likely cause a dip in their outside shooting numbers and pesky defense, the Blue Eagles will have to deal with the fact that Coach Norman Black is on his final season with the team. This could mean one of two things: that the boys will fight to give the man who led them to four straight championships a season to remember, or they’ll lose heart knowing he won’t be staying. Call it sentiment, but their choice in that regard could be a significant factor in Ateneo’s drive for five. 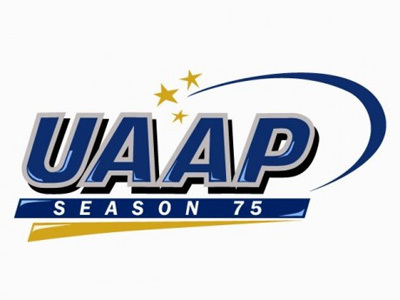 The FEU Tamaraws sustain heavy losses in their lineup this season. Not only are JR Cawaling, Pipo Noundou and Aldrech Ramos all gone, but they lose a steady game in Jens Knuttel and a physical presence in Ping Exciminiano as well. But we give credit to the management in Morayta—they sure know how to recruit. Witness FEU’s promising new trio: Fil-Am Anthony Hargrove, a transferee from the Technological Institute of the Philippines; Mark Belo, a provincial recruit raised from Team B; and Arvie Bringas, brother to the Tamaraws’ Anton Bringas and controversial transferee from La Salle. Throw in last year’s bench center, Russel Escoto, and the team’s got a hefty frontline that’s tough as nails and big enough to keep the lane clogged up. With dynamic backcourt duo Terence Romeo and RR Garcia leading the way in plays and points (they’re probably the most talented pair in any team in the league) the Tamaraws have the materials to make the Finals again. But Coach Bert Flores has gone on record to say that the team, especially the guards, needs to learn to play off each other’s strengths and stick to the system. Should the Tams not care enough to share, they may find themselves falling to less loaded teams. Fight Night! PXC 31 This Saturday!